Discussion in 'Gear For Sale / Trade/ Wanted' started by Triple7, Apr 15, 2019. 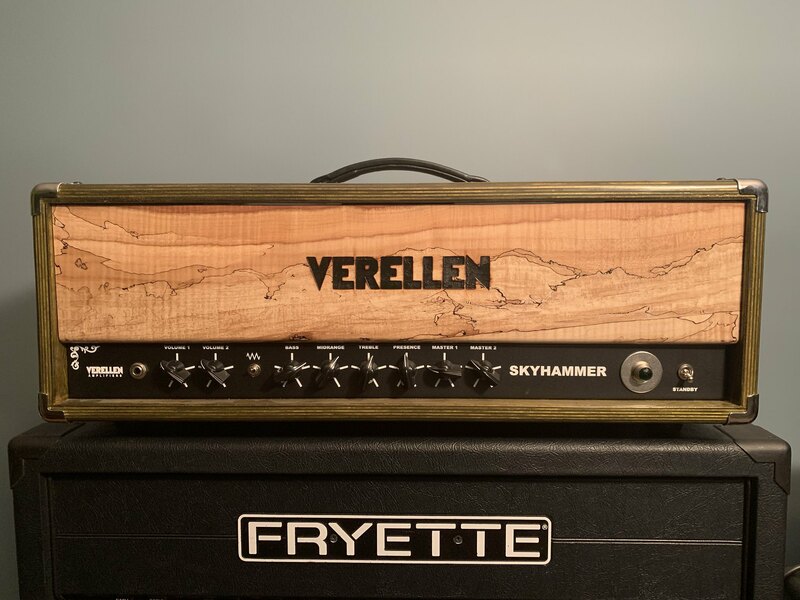 Up for sale is my custom Verellen Skyhammer. This amp absolutely slays. Unfortunately I need a new guitar more than I need this amp right now, so I'm parting ways with it. 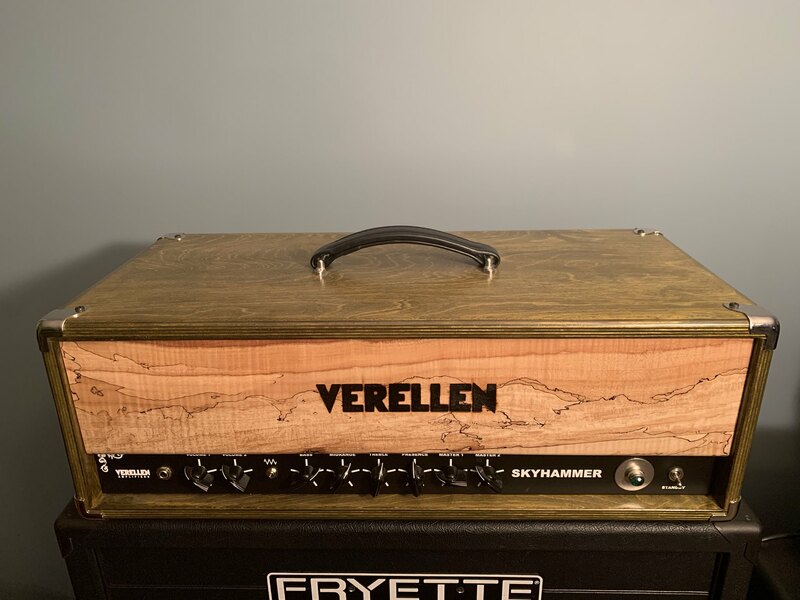 The amp has a green finish to it...which is a little understated in the pictures. I can provide different pictures if necessary. The ONLY trades I will accept would be for a Gibson Les Paul Custom, or a Dunable guitar. Other than that, cash only.